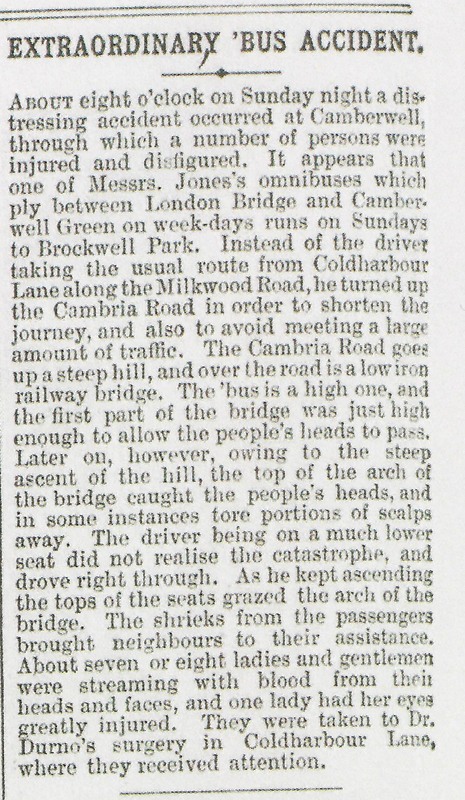 This is a pretty gory newspaper report of an accident at Cambria Road Railway Bridge. Do not read it if you are squeamish. This entry was posted in Streets & Roads, Transport and tagged Bus Accident, Cambria Road, Loughborough Junction, Railway Bridge. Bookmark the permalink.